Oliver Tambo: Have You Heard From Johannesburg is now available to watch online. Thinking about featuring one of our films in an upcoming festival, event, or community gathering? Email us at info@clarityfilms.org to request more information on how to show the film. 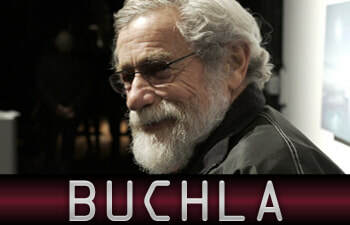 ​The 1960’s was a new age of musical expression, in which the long-sanctified precepts of classical repertory came tumbling down and California native Don Buchla was in the center of it. He grew up with a passion for music and a passion for engineering. When he combined the two loves, he created electronic musical instruments the world had never dreamed of before. The Whistleblower of My Lai will be screening at the Ashland Independent Film Festival from April 11-15. Get tickets. Oliver Tambo has won the PAFF Directors’ Award for Feature Documentary at the Pan African Film Festival. Oliver Tambo, our new entry in the Have You Heard From Johannesburg series, is now available to watch online via Vimeo On Demand. The Whistleblower of My Lai will be screening in October at the Vancouver International Film Festival, Raindance Film Festival, Mill Valley Film Festival and the United Nations Association Film Festival. ​Clarity Educational Productions, Inc. (dba Clarity Films) is a 501(c)3 non-profit, tax exempt organization formed in 1979 to produce and distribute films of historical and social value. Our mission is to encourage a re-examination of our past to better inform social progress in our future and to stimulate thought provoking discussion around issues of major social concern in today's society. © 2018 Clarity Educational Productions, Inc.